Mr Mosely isn’t a pedigreed dog, but he is just the dog Corey and his family want: he is loyal, protective and loving. And he is much more than that. He might well be the one thing that holds them all together. Shortlisted for 2011 CBCA BOOK of the YEAR Younger Readers. Me (in white shirt) with my brother and sisters and Penny, one of the dogs I mentioned in the dedication to the book. Some of Mr Moe’s stories were based on Penny’s stories. for my presentation. Would you mind telling me when Just a Dog is set, please? PS. I thought your book was amazing! I liked the part where Amelia drew all over Mr. Mosely. I look forward to reading more of your books! Thank you so much for responding to me, this will help me a lot with my report. You have made my day. 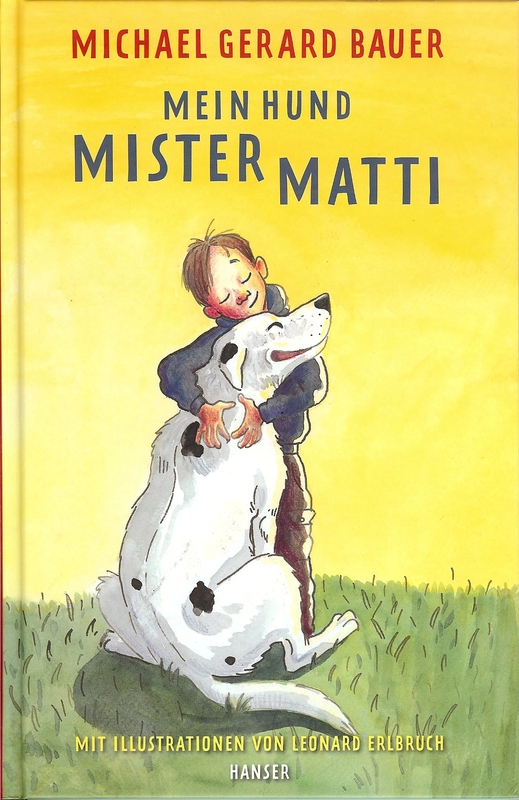 What an amazing story, my son who is 10 and I have spent many nights reading Jusr a dog. We have had many laughs together, this morning my son came out to say he was reading the end but it was to sad,so we read and cried together. We had fond memories of our Dalmatian who died of cancer and for me my first dog we buried him much the same. Thank you for the laughs and the memories you created. My son has spent the day talking about the book and all the great things Mr Moseley did or went through. We loved the book. Hi Karen. Thank you so much for that lovely feedback. It’s wonderful to hear about you and your son sharing the reading of the book together. I always try to warn people that there are sad things in the story so I’m glad that you were there for your boy during those episodes. The book has a special place in my heart as a number of the stories, like Moe and the fishing hook and the fetching of the newspapers, are based on real things that happened with dogs I had growing up. Thanks again for taking the time to write. Much appreciated. Please say hello to your son for me. Cheers Michael. Thank you for writing. Yes I know there are some sad things in the story, particularly the end. It’s always sad when someone loses a pet. But just like the family in the book, I think Mr Mosely is kept alive by all the great stories they can share about him. Stories are very powerful things that can help us remember. 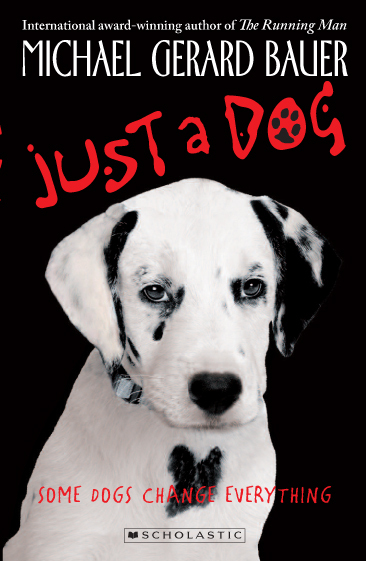 I loved Just A Dog so far I haven’t finished but will you make a second just a dog? The bit I liked the most was how Mr Mosely got his name. Will you ever go to Kingaroy? well I hope you get this message BYE! Thanks for writing. Great to hear that you are enjoying Just a Dog so far. Maybe I’ll write a story about another dog some time if I can think of a dog I like as much as Mr Moe. When I was writing the story I actually called him Mister Mosely before I figured out where the name came from. I have been to Kingaroy many times. I have relatives there. The book Just a dog was amazing I loved it so much. The bit I liked the most was when Mister Mosely was afaied of the Pink Panther. Thanks for your message. So glad you enjoyed Just a Dog. I had a lot of fun writing it. 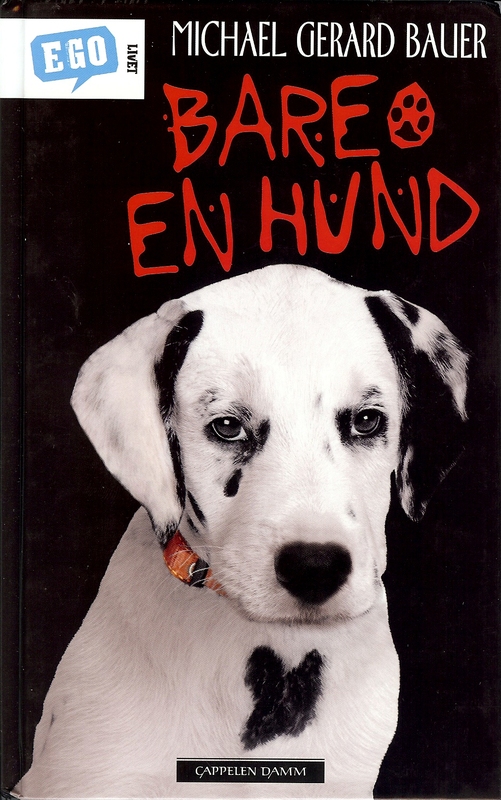 Some of the stories in the book were based on things that happened to dogs I had when I was a boy. The fishing hook story was one of those. I also taught one of my dogs to fetch the newspaper and we had a Pink Panther like the one in the story. I loved this book. My favourite part of the book was chapter 9 about the pink panther. Thanks for writing. Great to hear you enjoyed the book. I liked the Pink Panther story too. We had a stuffed toy just like that one in my family. None of our dogs were afraid of it, but one of my little nephews was. That’s where I got the idea of Mr Moe being scared of it. We also had a deaf cat just like Tiger in the book. Do u have a dog? and I like that animals play an important role in our lives but that’s not y I got the book. I got the book because I love animals so much. I don’t have a dog now but I based some of the Mr Mosely stories on the dogs I had growing up. Great to hear that you enjoyed the book. I might even give this book to my kids in future. I love your book and now I have a dog but not like Mr.Mosly. Hello Michael. I loved your book so much. Everything about it even the picture on the cover. I cried so much because I have a puppy now and I’ve lost two of my other puppy’s in the last 3 years. Suzie ate a dead thing that had eaten bait. And Bartzie I didn’t even get to take him home. I only saw him twice. His circulation got cut off accidently. Anyway thankyou so very much for your book! Is it possible if you make a second book about Moe and his family maybe even get another puppy? The first one was so sweet. When I finish such a good book I feel like I’m loosing a friend. And now I have to return this book to the library. I write some story’s in fact I’ve written one with a dog that has died. I feel so sad I don’t want to stop typing because I have to say goodbye. Because Moe is dead. I feel so emotional. My name is Danielle and thankyou for your heart warming story I hope I never forget it I seriously doubt that though so please write another story please, please, please. Happy story writing. Bye! and thankyou. Thanks so much for your lovely email. Sorry to hear about your puppies but so glad you have one now and that you liked Just a Dog. Not sure if there will be a follow up story – but you never know! Good luck with your own writing. And thanks again for taking the time to email. Thanks for writing. Glad to hear you are enjoying Just a Dog. It took me a while to get the voice and feel of that book to match what I imagined in my head. I finally got there and now I wish I had a dog like Mr Moe! Say Hi to the reading circle from me and good luck with the Primary teaching course. P.P.P P.P.S how old are u + it was s scary when cory nearly got kidnapped . THAT WAS A WONDERFUL BOOK !!!!! Thanks so much for writing and telling me what you liked, and your feelings about Just a Dog! Not sure if there will be another Just a Dog story but I like your idea about Just A Dog Junior. P.S. I’m older than I feel! Maria wants to know, what happened to Mr Mosely for the two weeks he was gone? Kade loved the last part of the story when mum, dad and Corey were telling stories and jokes at the ‘awake’. Jahneka wants you to turn the book into a movie. Spencer wants you to know that his most favorite part, ever, was when Mr Mosely came back after two weeks. Those two weeks away were Mr Mosely’s special secret. Sarah’s favorite part was when Mr Moe stole all the newspaper in the neighborhood. She loved imagining everyone waking up to NO newspapers! Zoe wonders if you live in Australia and if you do, she wants to know if you’d love to come and visit us at our school. Pukhraj wants to know how old you are and when you started writing stories. James loves the part when Mr Moe runs down the street and licks Corey when he comes home from school. He wishes he had a dog like that. Lachlan loved it sooooooo much. Victor’s favorite part was knowing that Corey’s mum was having a baby before anyone else knew. Heaps of us cried when Mr Mosely died, including Kellie. We can’t wait to hear back from you. Hi Kel’s Year 3 Class!!! Emile – Thanks and good luck with your story! Maria – I’ll let you decide. It’s a mystery to me as well. Janisha & Jasmine – I hadn’t thought of writing a sequel. But in a way Mr Mosely comes back every time the family tells his stories or you read them. Kade – I like that part too because the stories keep me Moe ‘alive’ and it helps the family not to feel so sad. Jahneka – that would be fun and exciting. My son Joe is a young film-maker. Maybe he could do it one day. Spencer – That’s one of my favourite parts too! I like to hear the stories people make up about what happened in those two weeks. Sarah – I agree. I think it’s funny and smart how Moe collects the papers to get more biscuits! Zoe – I do live in Australia – in Brisbane, Queensland. I visit lots of schools around the country every year and yes I would love to visit your school and meet your class. Pukhraj – I’ll just say that I’m older than I feel! I didn’t really start writing stories till my 20s. Before that, the first things I wrote or tried to write were songs. I start writing my first book until I was in my 40s. James – I had a dog call Penny who did exactly that when I was Corey’s age. A few of Moe’s stories are based on real ones. Lachlan – Well thank you sooooooooooooooo much! Victor – I like that too. And I really like how gentle Moe is when the baby comes, even though he is such a big dog. And just so you all know – there were times when I cried while I was writing some of the Mr Mosely stories. Thanks so much for writing. I’ve had lots of fun answering your great questions. I feel compelled to leave feedback in this space. I’ve read the magnificent ‘Just A Dog’ to grades 3 and 4 (although I introduce it to my 3’s in term 4), and the we love it. I ‘kid you not’ the children are hooked as soon as the praying mantis is wiped out! We laugh out loud as we imagine Mr Mosely eyebrows going up and down, The kids are glued to their seats as Corey avoids abduction – just! and I have to admit, I bawled my eyes out as I was reading it for the first time, when Mr Mosely dies – at the top of the steps. I had to put the book down, take a minute and begin reading it again because the kids wouldn’t let me stop. They were crying as well!! I have to tell you, a number of kids who are now older come back to me and tell me they remember the day we all cried when Mr Mosely died!! OMG. It’s cemented in our hearts, in the nicest possible way. Thanks Michael. P.S., My job share partner will be reading the chapter where Mr Mosely meets his maker – I can’t handle it. What a beautiful email to receive. Thank you so much for taking the time to write. The response to Just a Dog has been overwhelmingly positive but it does tend to divide some readers, usually on the grounds of whether they feel it’s appropriate for certain ages. Mainly because of the fight between the brothers and the parents’ conflict and that scene you mentioned with Corey and the car, one lady in her review said the book was going ‘straight in the fireplace’. I much prefer your final resting place for the story – ‘cemented in our hearts’. Thank you for that lovely image. Please say Hi and give my best wishes to all your students. ps and just so you know, there were tears in my eyes as I wrote parts of the story. I just wanted to say that I absolutely loved this book! I am a university student studying primary school teaching and I am currently writing an assignment on ‘Just a Dog’. I myself have a dog called Holly who certainly isnt ‘just a dog’- so for me I could totally relate to the stories and feelings you portray throughout the book. You had me in complete tears of both joy and sadness (that ending was a killer!!) but I can certainly say that I will be purchasing this book for my own collection!. Beautifully written, a terrific read for both children and adults!! Thank you so much. It is lovely to get such positive feedback on the book. We didn’t have a dog when I wrote that story but I drew on the memories of two dogs in particular that I grew up with. So some of Mr Moe’s stories are based almost exactly on real events, some have been adapted and changed quite a lot, and some are completely made up. I’m very proud of Just a Dog and it holds a special place in my heart. It’s a lovely thing when someone else connects with it as well. Thank you again for taking the time to comment. Having a quick read at the comments on this blog, I thought I’d let you know that an older audience is reading it too! And enjoying it, I must say. I’m currently reading ‘Just a Dog’ as we speak as part of an English unit – and I’m a University student! A few of us are actually reading it and I must take the time to thank you for such an excellent read! Sorry for the slow reply. I’ve been travelling a bit of late. Thank you so much for taking the time to send those lovely comments. It’s great to get feedback on the stories. I’m so glad to hear that you enjoyed reading Just a Dog. All the best with the Uni course! I loved the book, it was really touching, humourous yet sad at times. Could you please explain what you think the benefits are in using an animal as a central character for children’s books? Thank you Lucy. I guess that animals have a very wide appeal and that many lessons can be learnt from them. 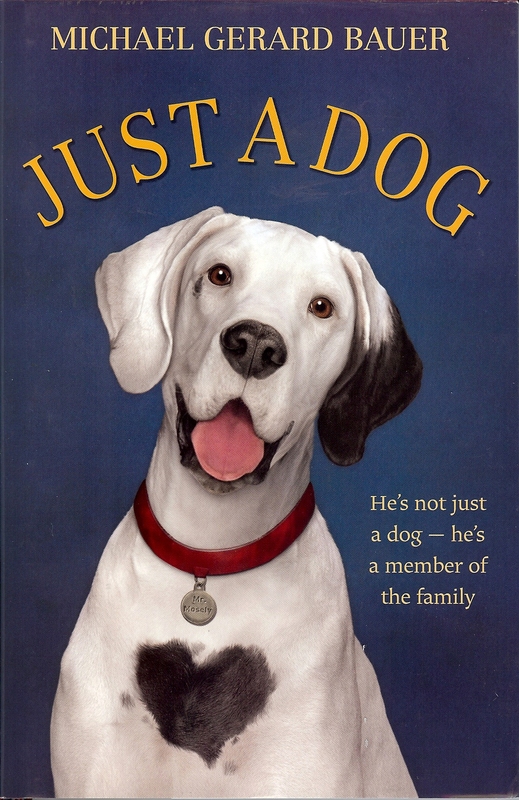 Why do you think your book ‘just a dog’ won the children’s book council of Australia, book of the year award? Your book has won the Children’s book Council of Australia, book of the year award, why do you think your book won this award? Your book is by far an amazing tale of a non-pedigreed dog who brings a family together and leaves a massive impact on all of their lives. I was delighted to find this blog post as my 9-year-old fourth grader chose this book for a book report. I think Mr. Mosely is well written, humorous, emotional, and real, but similar to Karen’s thoughts above, I am not sure that my daughter’s age group is the best audience. (Full disclosure: I am a bit overprotective and my child is quite sensitive towards animals.) Fortunately, some things are going over her head, but I am certain it will be a tough evening this week when she gets to the part where …! I appreciate that you write stories for yourself, but I am curious as to which age group it was aimed at when it was first published. I had thought, erroneously, that scholastic books were specified for a certain age range. Thematically speaking, the parent in me would probably put it towards sixth grade and above. In any event, I intend to check out some of your other titles (my child picked out your book at the school book fair). Thanks for your comments. There was some thought and discussion about who the main audience for the book would be. In general it was either going to be Younger Readers say 10-12 yrs or Older Readers 13+. The decision was that it would be published as a Younger Readers book. As I said to Karen I didn’t write it for a particular audience. 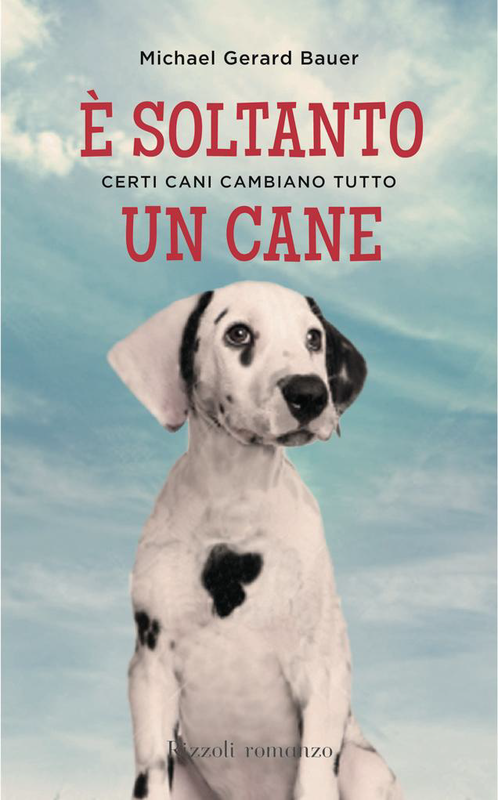 I wrote it just as a story I really wanted to tell – what I hoped would be a powerful story told in simple words, a story that was more than a just dog story, about a dog who was, for his owners at least, more than just a dog. I can certainly understand why it wasn’t marketed as a YA novel but I have concerns like you about young children reading it because I would like to think that it is also a story for adults. I always suggest to parents that they should read it first before giving it to their children – or least read the first paragraph because that should indicate clearly that it isn’t going to be merely a light-hearted pet story. But whether it is suitable for a particular young reader depends so much on the individual child and their parents. Personally I think yr 5 or 6 upwards is ok but I also know that some younger students could handle it while some older ones probably couldn’t. I’ve often had kids (as well as adults) say to me, ‘I loved that book and I cried sooooo much.’ Make of that what you will. But I think experiencing sadness and tragedy through the relative safety of a book can be a very positive and worthwhile thing. I’d also hope that the idea that Mr Moe lives on through Corey’s stories and the family’s love, might be something that stays with readers long after the tears have passed. Omnibus Books/Scholastic Australia have published all my books and they cover a range of age levels not only young readers. For example The Running Man is for Young Adults. 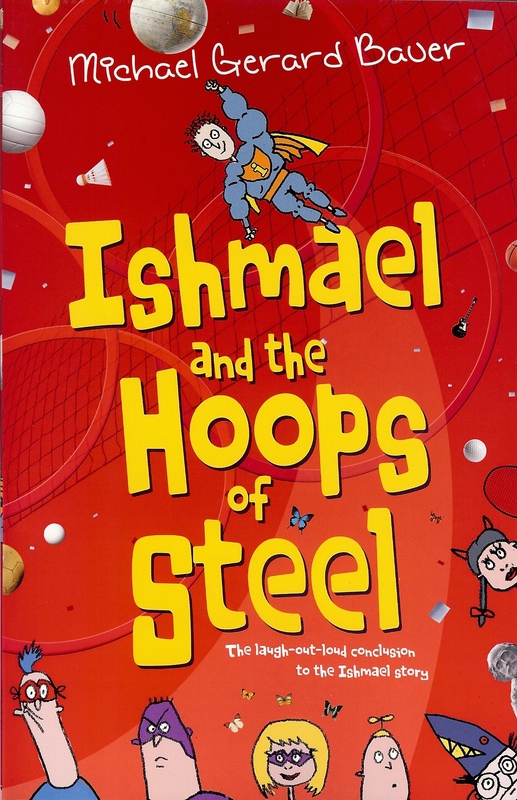 The Ishmael series starts off with the characters who are in Grade Nine and finishes in the third book with them graduating from Year 12. Facie thanks for writing. I appreciate your concerns about this. I hope that ‘tough evening’ isn’t too tough. In any case, it’s nice to know that your daughter will have her ‘understandably protective’ mum there to help her through. Dear Michael, your story Just A Dog is amazing it made me cry so much I loved the story. And also, Is Just A Dog a real story? I love this book but I do question its accessibility / appeal to younger readers and so, it’s nomination in the Younger Reader’s category in the CBCA. I’ve given it a few readings to Years 5 & 6 and find it’s a bit sophisticated for my cohort. I guess, it’s because the narrator, Corey is of a similar age that it gets the guernsey in this category. Anyhow, best of luck with the nomination, your definitely up there, in the ‘award winning author’ category in my mind, so it would nice to this formalised. Yes it’s tricky isn’t it. When I wrote the story I didn’t have an age group in mind. In fact I always write stories basically for me. When it was going to be published there was some discussion about what group it should be aimed at. Just because the narrator is 11 doesn’t necessarily mean that’s who should read it. Some things in the original story were eventually very slightly toned down so as to be more suitable for younger readers but I didn’t really want to change the story to make it fit in with a particular age group. I worry a bit about very young readers reading it. I’d say yr 6/7 might be ok but I’d hope that older readers and adults would be just as much the target audience. I’m really glad you liked it! Thanks so much for visiting the blog and taking the time to comment.